Jamaica's coastline is home to some of the most beautiful beaches in the Caribbean, drawing millions of visitors every year. It's landforms of igneous and metamorphic rocks, karst limestone in the west, and low-lying southern coastal plains, create a variety of beaches ranging from white powdery sand to dark courser sand and pebbles. Here is a comprehensive list; from action filled to the most secluded very few know about. The deep waters of Boston Bay Beach, produce a dark blue hue that is exceptionally pretty set against the white sand of the beach. The area is the birthplace of Jamaican Jerk cooking. There are snack bars, restaurants, hotels, and public facilities on Boston Bay Beach. The beach is popular for fishing and surfing; it's easy to rent a board if you don't have your own. Work up an apetite then, head to one of the many jerk stalls to taste test perfectly seasoned but spicy pork, chicken, lobster, or sausages, accompanied with rice and peas and festival, a fried cornmeal dumpling sweetened with sugar. Bluefields is one of the oldest settled areas in Jamaica and Bluefields Beach Park is one of the most popular beaches. It gets very busy on weekends and public holidays. 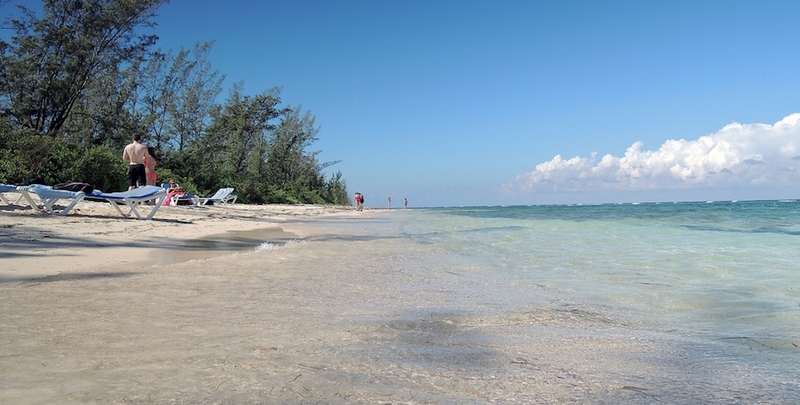 The beach is a narrow stretch of soft white sand approximately half mile long. The water is great for swimming but can be choppy. Parking is free on the approach road. There is also a gated Park that charges a nominal fee, which includes parking and the use of the facilities including rest rooms. The Park is located in a shady, well-wooded area with a few small restaurants which are noted for their locally caught fish. Most beaches in Runaway Bay are owned by resorts, but the Cardiff Hall Beach is free and open to the public. Located at the west end of Runaway Bay, within walking distance of most major resorts. Cardiff Hall beach is a family-and-friends beach, located next to the private resorts, the beach is no different but far less crowded. There is a restaurant and bar as well as changing facilities. OK, not quite a beach but had to sneak this in, for the sheer beauty and adventure of the Negril cliffs. The Caves, not far from Negril's famous Rick's Cafe, is named for the immense grottoes that open up below the limestone cliffs. There is no beach here, but there is some of the world's most astonishing water; warm and crystal clear and bristling with virieties of fish. At key spots along the clifftop, platform perches are built into the stone wall to allow the brave, adventurous, or "foolhardy", to dive from 30 to 50 feet into the sea. 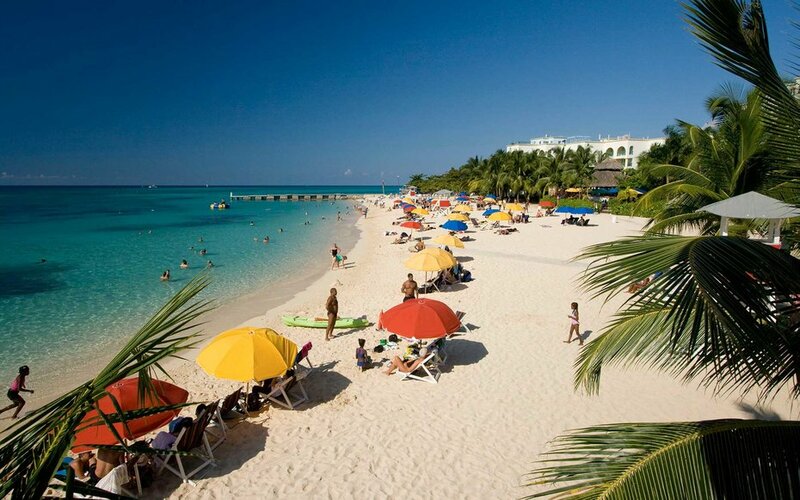 Perhaps the most traditional of Montego Bay Jamaica beaches, Cornwall Beach is smaller and usually less crowded than neighboring Doctor's Cave Beach. Previously a free public beach, it has been reovated and there is now need small entry fee. The new facility offers showers, snorkel gear, beach fun, towels, lockers, bar, resturant and gift shop. 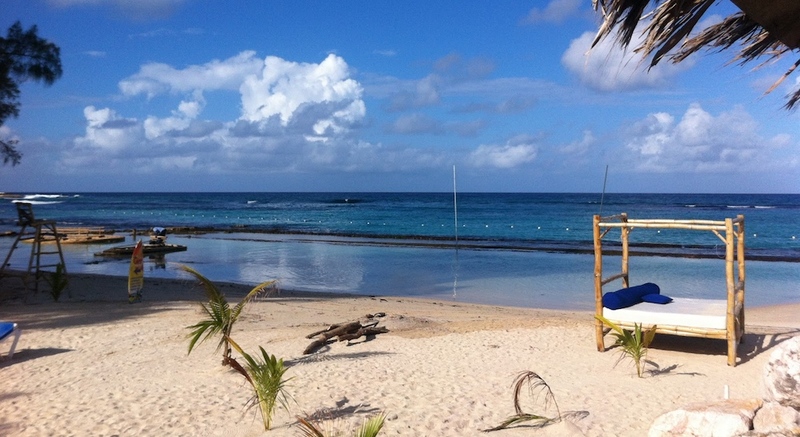 The entire beach is available for weddings public and private functions. Doctors Cave Beach often makes the list of best beaches. People have been drawn to this beach for decades because of its hot springs and warm water. The waters are fed by mineral springs that warm the water into the low to mid 80s. The amazing water conditions make this a top choice for people visiting Montego Bay on vacations as well as cruise excursions. There is a small entry fee, but that gives you full access to all visitors amenities. More than 10 miles of coral reefs and sea caves can be found just off shore. Located in the heart of Montego Bay, there is lots to do. 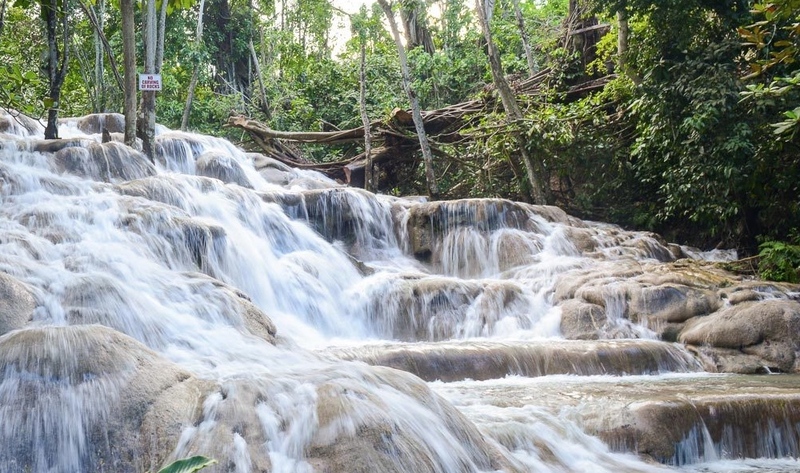 Dunns River Falls in known internationally as one of the world's most beautiful waterfalls. A popular tourist attraction, the cool clear water cascades down rocks, smoothen through centuries of erosian, into the sea across an expance of white sand. There is an entry fee, for which, you can opy relax on the beach beneath the 600 feet of cool rushing water, climb the falls past cool pools and cascades under a forest canopy or settle further up the beach away from the the bustle. It is best to visit the Dunns River Falls on a weekend or in the morning before the cruise ships arrive. A visit to Dunns River Falls is worth every penny. This beautiful white sand beach, where a postcard-perfect stream runs into the sea, was once a haven for the celebrities like Elizabeth Taylor and Errol Flynn, who would stay at the Frenchman's Cove Resort. 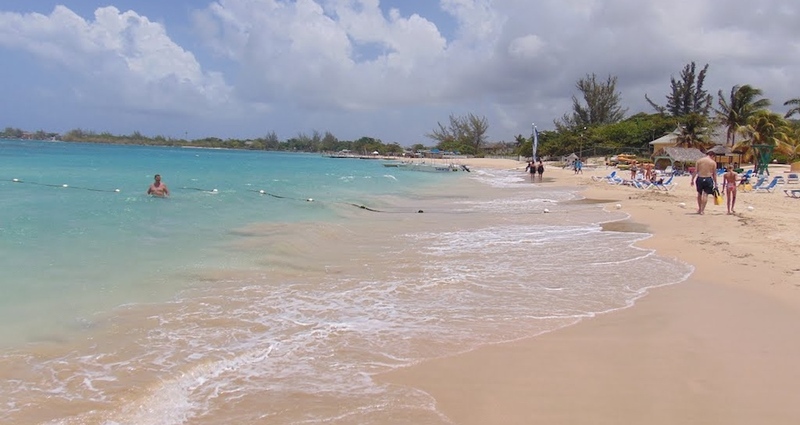 Located in the parish of Portland, on the grounds of the Frenchman's cove resort, the beach is private but accessible for a fee. There are restrooms, chairs, picnic tables, bar and restaurant. The beach itself has made a cameo in several films. 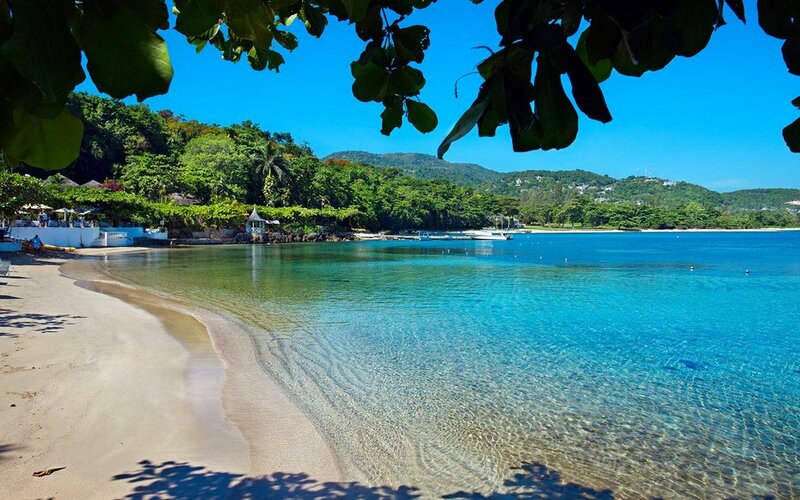 James Bond Beach is a favorite beach for many tourists, located just east of Ocho Rios, this north coast stunner was the setting for scenes from the Dr No. James Bond film. The Golden Eye Hotel is a favorite of James Bond enthusiasts, having been the residence of the writer of the James Bond series, Ian Fleming. These beaches feature lifeguards and public facilities as well. Here, the waters are an incredible green-blue. Glass-bottom boat tour, Jet-ski, or wind surfing are available. 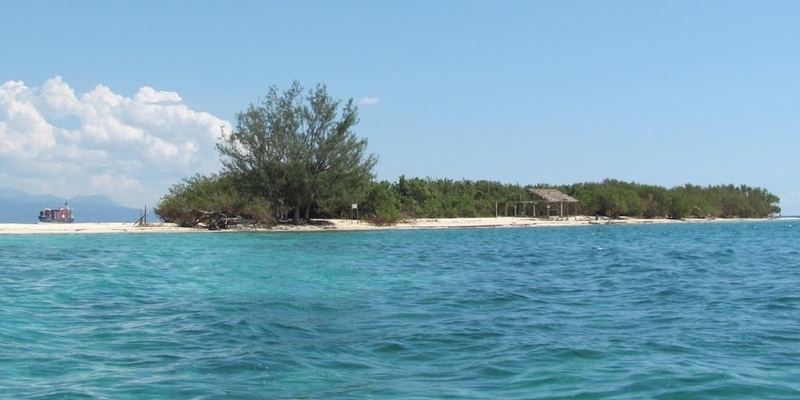 This small, uninhabited island off the coast of Kingston is 15 minutes by boat from Port Royal. There is no formal public transportation situation, so the best way to go about things is to hire a boat in Port Royal. This is a popular beach for both sunbathing and water sports. No rentals here, so bring your gear, plenty of water, food. Sun block is advised if you plan on spending a long period of time on the island. It is usually desolate during the week and busier on the weekends with visiting locals equipped with food, beer and music. There are no facilities on Lime Cay. The airport is nearby, so expect to see low flying aircraft. Long Bay beach feels like a step back in time. 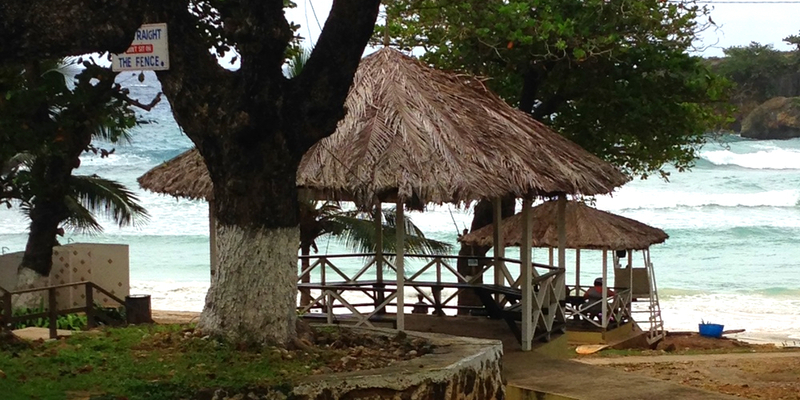 True rural Jamaica with a wide, beautiful beach, away from the resorts and press of tourism. 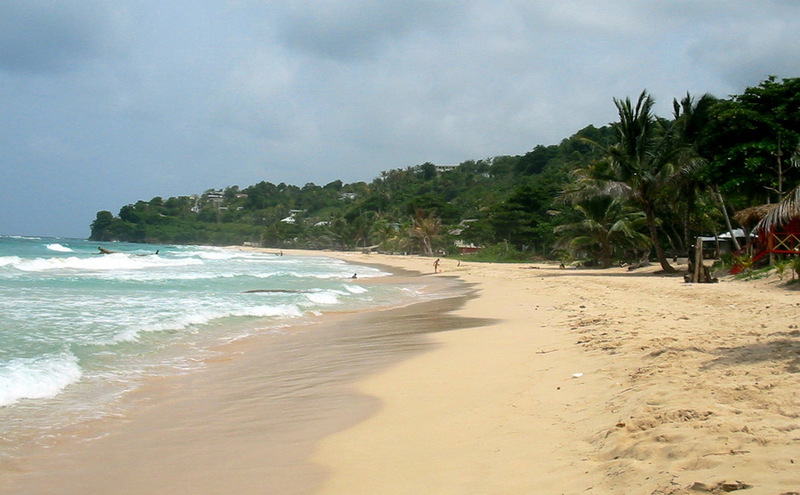 A small fishing village, Long Bay beach is about 20 mins east of Port Antonio. GoldenEye was once the vacation home of James Bond creator Ian Fleming. Today, the property is owned by Jamaican music industry executive Chris Blackwell, who has turned it in to a posh resort, recently expanded to include 26 new beach huts. Many offer sea views and face beautiful Low Cay Beach, a sheltered, 500-foot cove that anchors this secluded property. Guests can also swim and stand-up paddleboard in the four-acre lagoon. 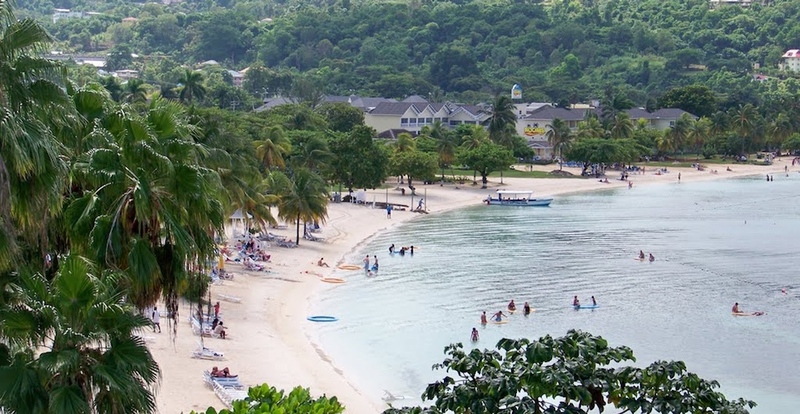 One of the busiest Ocho Rios beaches, Mallards Beach is right in the center of the action. It features hotels and restaurants, entertainment venues, souvenir shops. If you are looking for a clean beach with all of the amenities near lots of accommodations, this is a great option. 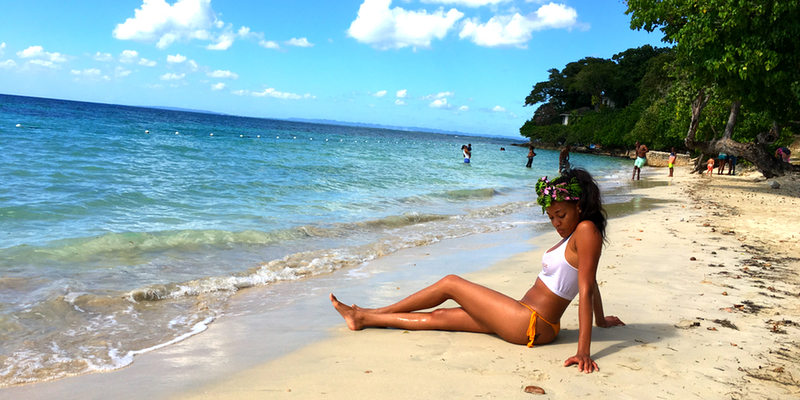 Of all the Ocho Rios Jamaica beaches, this one is probably the best in terms of visitor amenities. Even though it's half-public and half private (courtesy of the RIU), Mammee Bay's so stunning it's a must. Set up camp at Bamboo Blu beachfront restaurant, where you can recline on a daybed feasting on grilled lobster and sipping a Cool Runnings. Bonus: The conditions on this side of the coast are ideal for windsurfing and just about any other water sport that tickles your swim trunks. 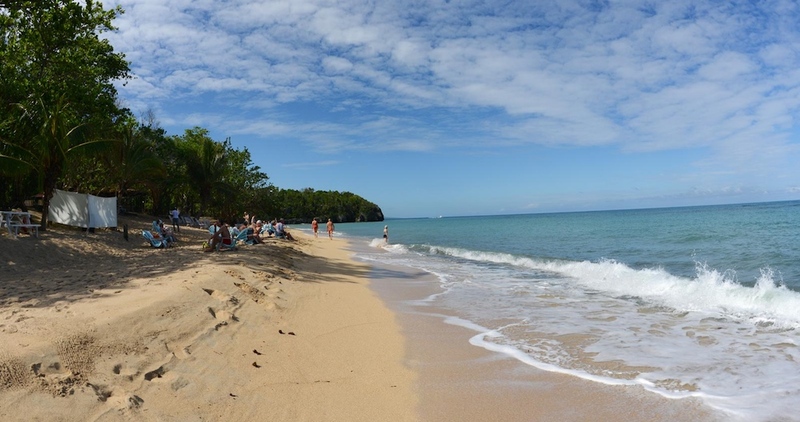 Puerto Seco Beach has undergone a major reconstruction. It is still a popular beach for Family travelers and locals with a lot of activities for all ages. There is live entertainment everyday, a full restaurant and bar, private cabanas, a pool, an area to swim with dolphins, a first aid center and lots more. 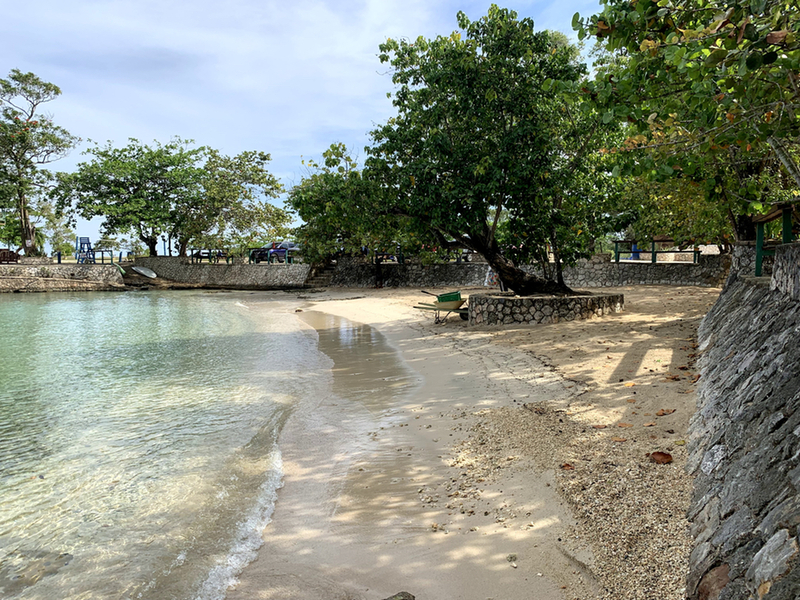 This is still a bustling but atmospheric public beach located about 30 minutes west of Ocho Rios. The weekends and holidays can get busy, so head here on a weekday if you want a little more space to roam free. Hidden by a marsh area, Red Stripe Beach is a new attraction for cruise passengers. 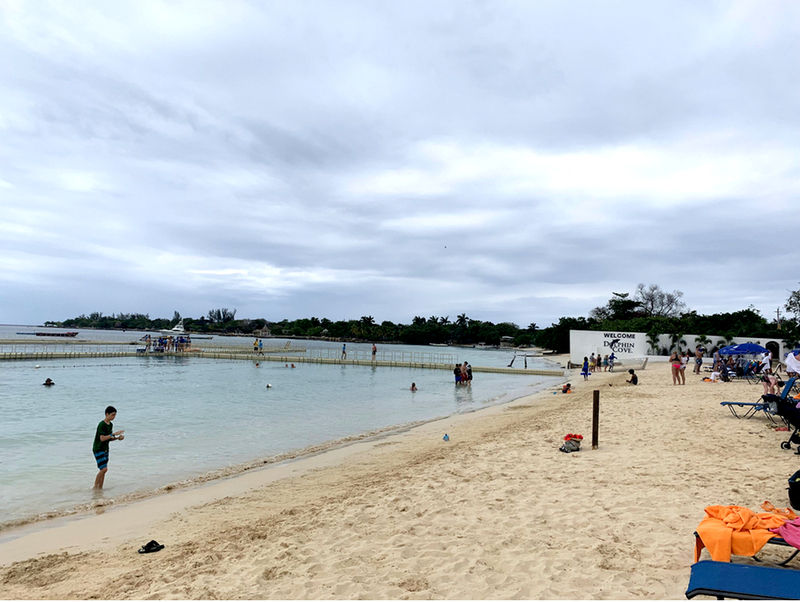 After the new port opened in Falmouth to accommodate larger ships, Red Stripe Beach opened to offer cruise passengers an easy choice for some soft sand. Lifeguards are on duty and a cafe, snack shop, and gift shop are on location, so sure to bring cash for beverages and souvenirs. The beach is kept meticulously clean, and twigs and seaweed are constantly cleared so water and sand is picture perfect. Chairs and flotation devices are available for rental. The beach is less than 10 minutes away from the cruise port and is part of the excursion options. This long stretch of white sand beach buffeted in the protection of cliffs on either end. 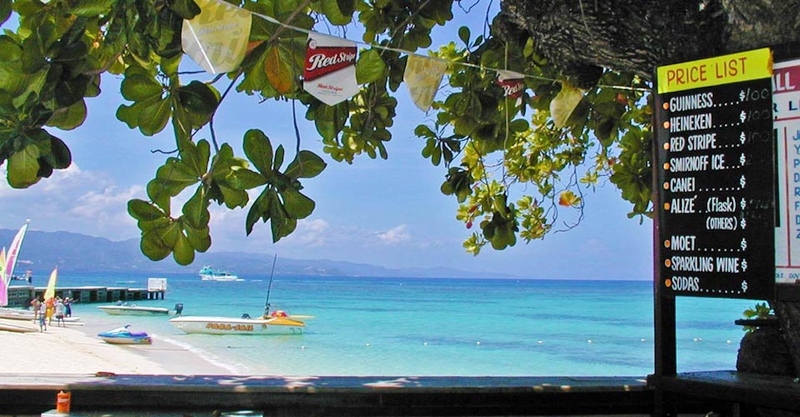 Known for a more authentic Jamaican experience, it is secluded from major resort areas and popular with locals. The beach is generally not crowded and considered by locals to be one of the island's best-kept secrets. There is almost always an available beach chair on this secluded beach during the day. Kayaks are available to rent, and the nearby reef offers excellent snorkeling. There is a seaside restaurant and three bars on the beach serving beverages throughout the day. The beach comes alive on Friday nights. The beach parties on Reggae Beach are some of the best opportunities to hear excellent live bands and DJs. In 2008, Reggae Beach hosted the Caribbean Urban Music Awards, and Lonely Planet named Reggae Beach the "Greatest Cultural Tourism Experience" of 2010. Round Hill is one of Jamaica's most exclusive resorts, a manicured paradise spread out over 110 acres. The 36 whitewashed guest rooms with four-poster beds were designed by none other than fashion maven Ralph Lauren, who has a villa on the property. There is a natural tropical reef just a few yards off shore, so guests can go snorkeling or kayaking. Further out, you can scuba, water ski, or go tubing. San San is a private beach shared by local villas located around the Blue Lagoon, Goblin and local hotels in the San San area of Port Antonio. The San San Area is aboslutely beautiful, the location of several movies including Cocktails, Club Paradiseand The Mighty Quinn to name a few. Secluded by vegetation with a canopy of almond trees, San San has a narrow but lengthy white sand beach, a beautiful and peaceful oasis ideal for relaxation. Monkey Island is within swimming distance for stronger swimmers, the small offshore reefs provide good snorkeling. Its easy to book a fishing, scuba diving, or windsurfing adventure with the people who work there. If privacy and relaxation are important, San San Beachis the right place. 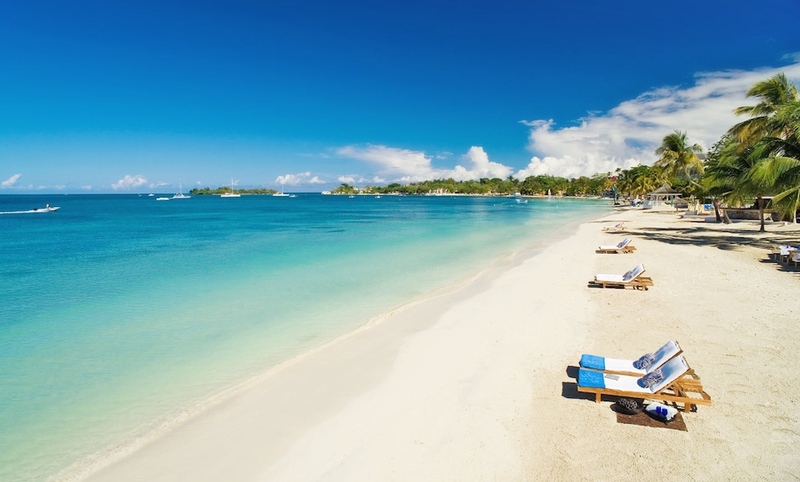 Seven Mile beach, or Negril beach, is one of the best beaches in Jamaica. 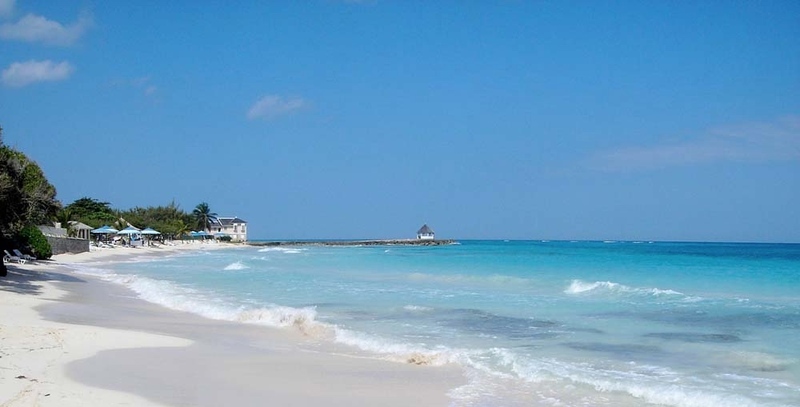 located in Negril, on the far western end of the island, the beach is a fabulous stretch of white-sand that is located within close proximity of a variety of hotels and resorts, restaurants, bars and clubs. This is a very busy beach for tourism, and is a popular venue for Spring Break parties. Each March, college students flock to the beach to soak in some sun, drink rum punch, and dance the night away. Hotels and restaurants line the sand and jet skis, speed boats, and glass-bottom boats are on hand for a day on the water. The water is a tranquil turquoise blue and the sunsets are breathtaking. Seven Mile is also a fountain of entertainment, with weekly live Reggae, a constant stream of snack vendors, and countless restaurants. 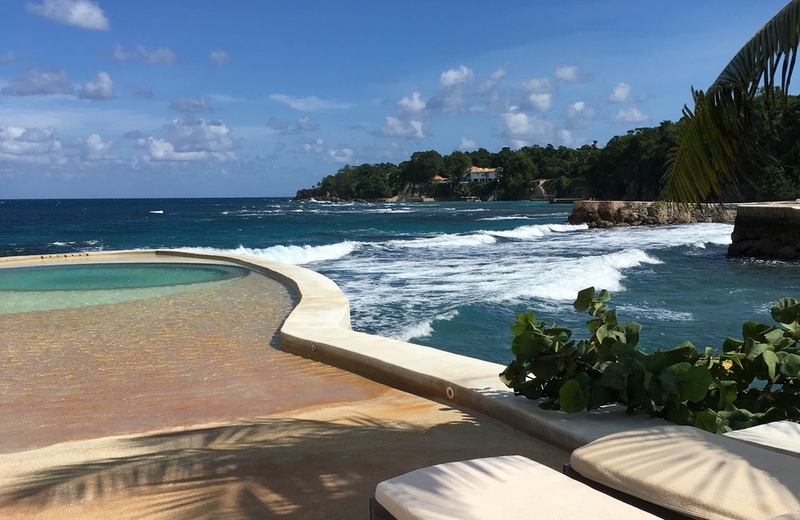 Located close to the negril cliffs, breath taking in themselves and location of "the Caves". A wide expanse of white sands peppered with villas. A public access point exists on the West side of this beach and you will never be made to feel unwelcome here, even if you're not renting one of the adjacent villas. There are public restrooms, umbrellas and chairs here. The water is clear and good for snorkeling. Close museums, an art gallery and historical sites. 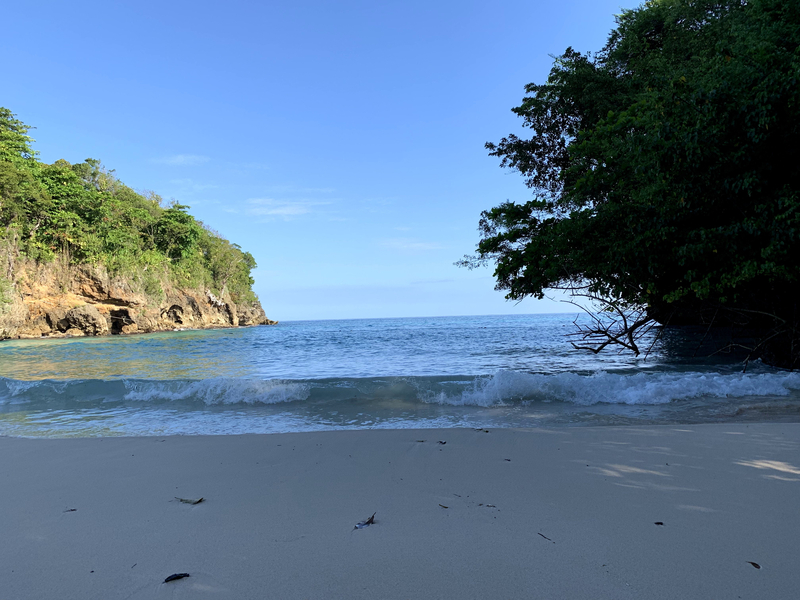 Treasure Beach is a generic name for five Bays that make up the area: Frenchman's, Great Pedro, Billy's, Calabash and Fort Charles also known as Starve Gut. A a six mile stretch of coral-coloured and sometimes black sands, private coves and rocky shores that are generally more laid back in feel. For those who who want to discover the South Coast's vibrant local culture and untrodden beaches, a visit to one of Treasure Beach's main bays is a must. 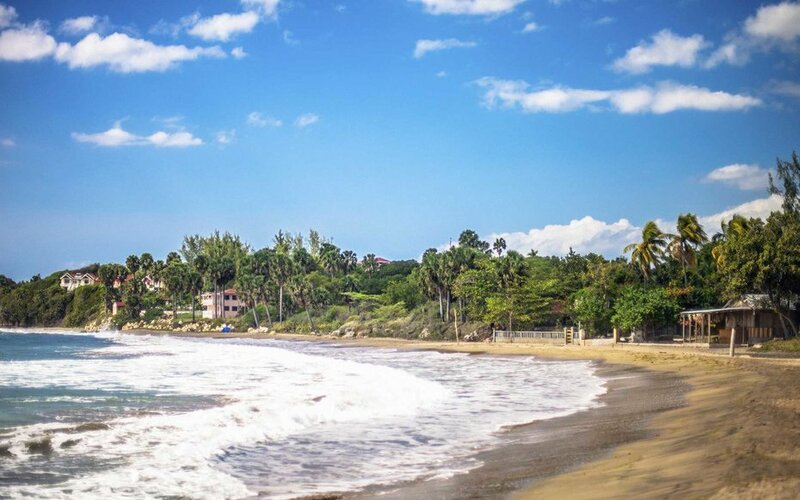 Just a mile on from Blue Lagoon, where Tom Cruise's movie "Cocktail" was filmed, Winnifred Beach is one of the most appealing public beaches in Jamaica. 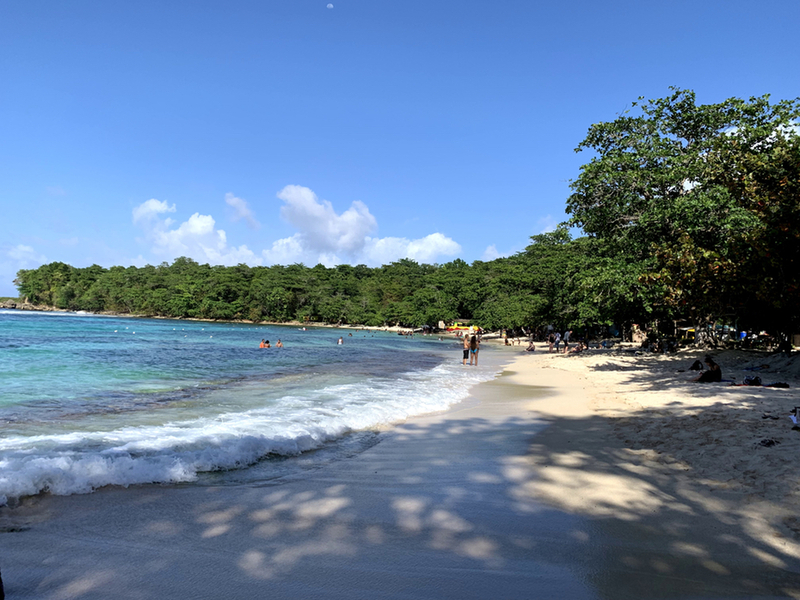 Winnifred Beach is home to a delightful reef just offshore that's not only perfect for snorkeling, but for its clear, calm, bright-blue water justly popular with locals. A long, unpaved road leads to the wide, white-sand beach that stretches along a sheltered bay. Thick groups of trees and vines act as a backdrop to the aquamarine water filling the foreground. At the base of the hill, large trees shade a flat strip of land, where several food and drink-vendors prepare fresh fish and jerk dishes.